Beginning February 1, Fraport is taking over the overall management of concession areas for shops, restaurants and other services at Nashville International Airport (BNA). 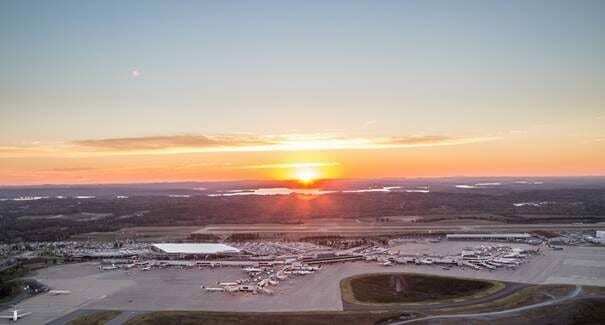 With almost 16 million passengers in 2018 (up 13.2 percent year-on-year), BNA set an all-time record for the sixth consecutive year and maintained its position as one of strongest performing aviation gateways in North America. Fraport USA, a wholly-owned subsidiary of Fraport AG, won the bid last year in a highly competitive tender process. Since the signing of the 10-year contract last summer, Fraport USA has been preparing for the February 2019 startup. The agreement with the Metropolitan Nashville Airport Authority (MNAA) covers the design, construction, lease and management of concessions space throughout the airport’s four concourses in the passenger terminal. A major airport expansion to be completed by 2023 will result in some 12,300 square meters (more than 133,000 square feet) of concession space for over 90 shops, restaurants and service outlets – plus common-use areas for seating and entertainment. Fraport is expected to invest some 17 million dollars in the BNA concessions development during the next decade, with further investments to be made by the individual subtenants. Fraport USA is renowned for setting the standard in managing, designing and developing airport retail concessions in North America. Along with Nashville, Fraport USA is the developer and manager of the retail, food and beverage concession areas at a total of five airports in the United States: Baltimore/Washington International Airport (BWI), Cleveland International Airport (CLE), Nashville International Airport (BNA), New York Kennedy Airport (JFK – JetBlue’s Terminal 5), and Pittsburgh International Airport (PIT).